Love them or hate them, I bet you haven’t forgotten them! 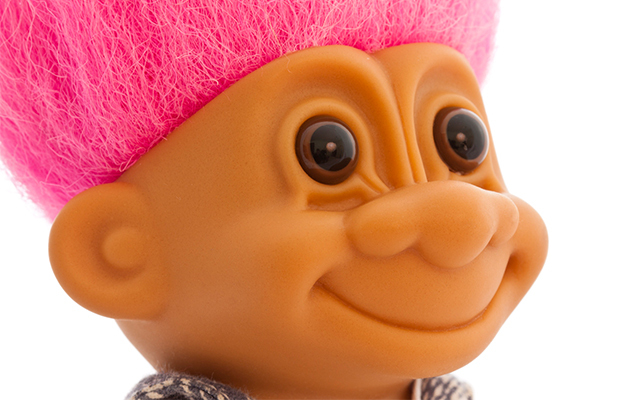 Troll dolls were originally created in 1959 by Danish woodcutter, Thomas Dam and took off in United States the 1960s. Somehow, popularity never waned for these cute/ugly (cugly?) figures and the fad reared its furry head again in the 1990s. Available in a range of colours and with a variety of costumes, you could find everything from a tennis troll to a Teenage Mutant Ninja Turtle troll. Which one did you have? As with many collectables, there are some people who take their love for a certain item to the extreme. Collector Lisa Moss has over 4,000 dolls in her collection!